We were short on time, so we chose a close trail that was relatively short in distance but still very scenic. 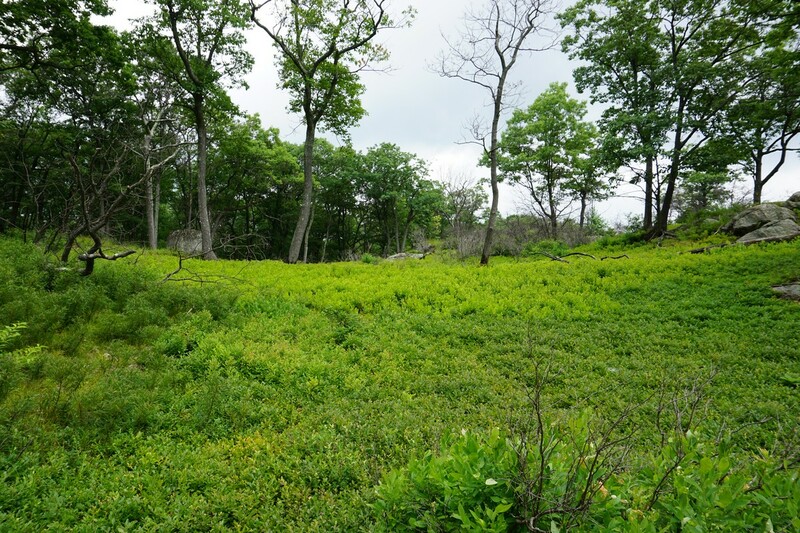 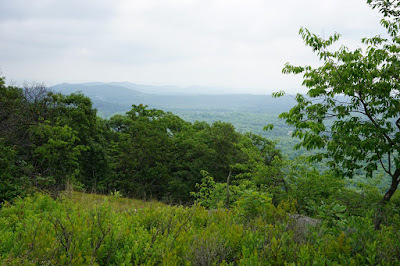 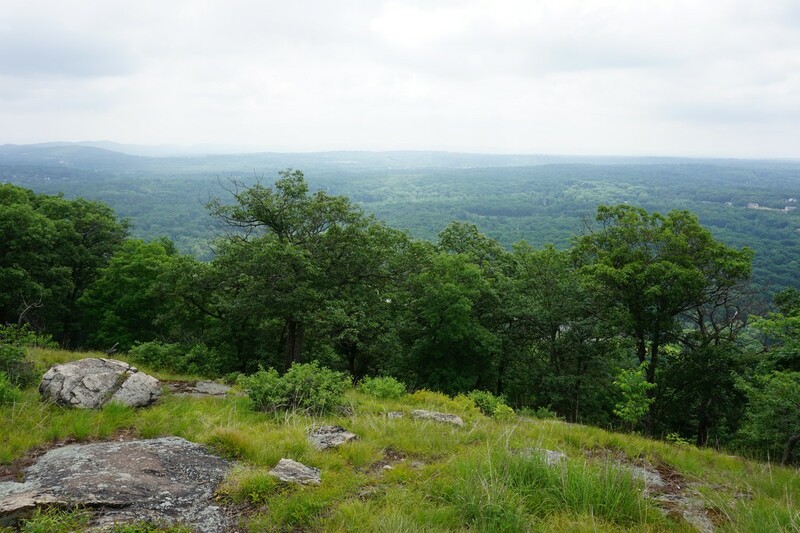 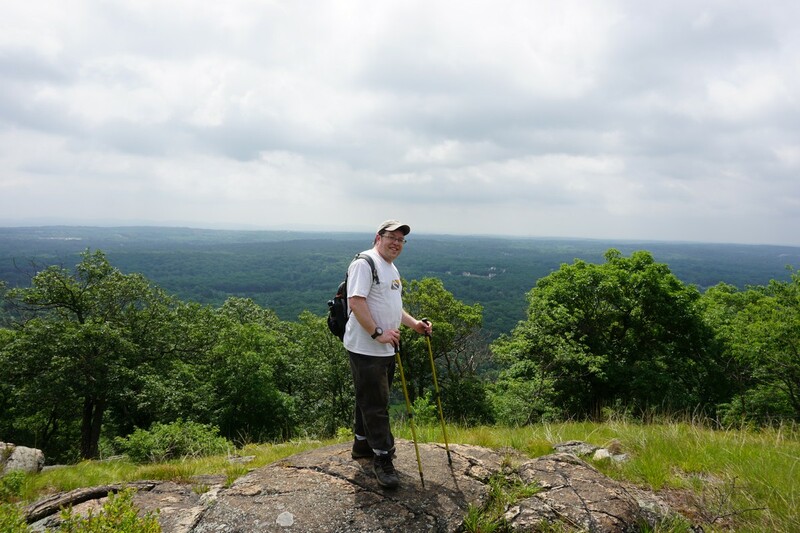 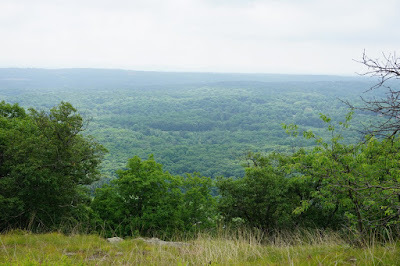 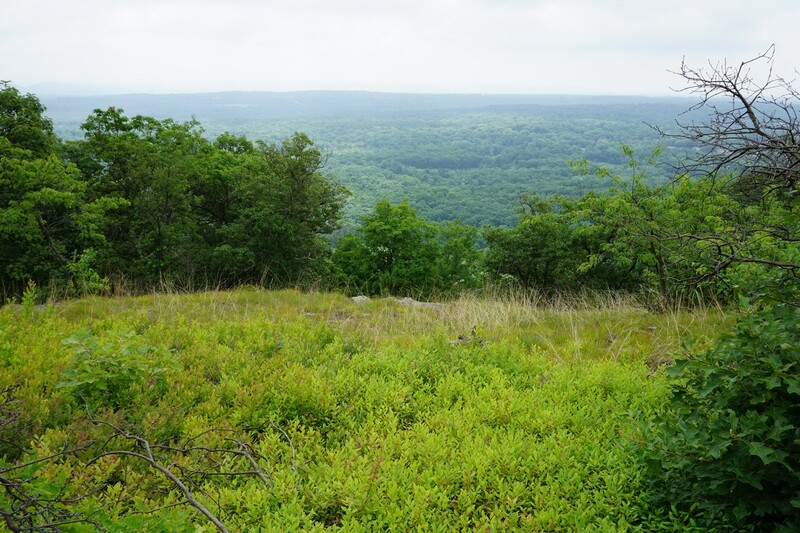 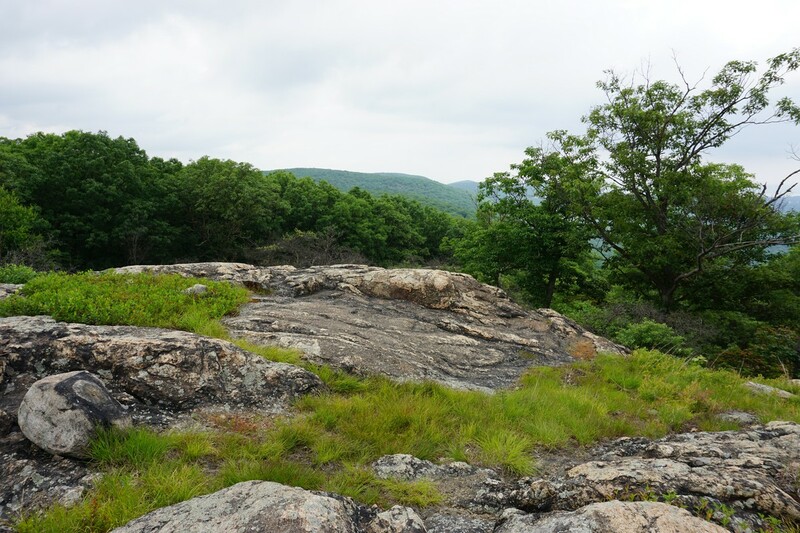 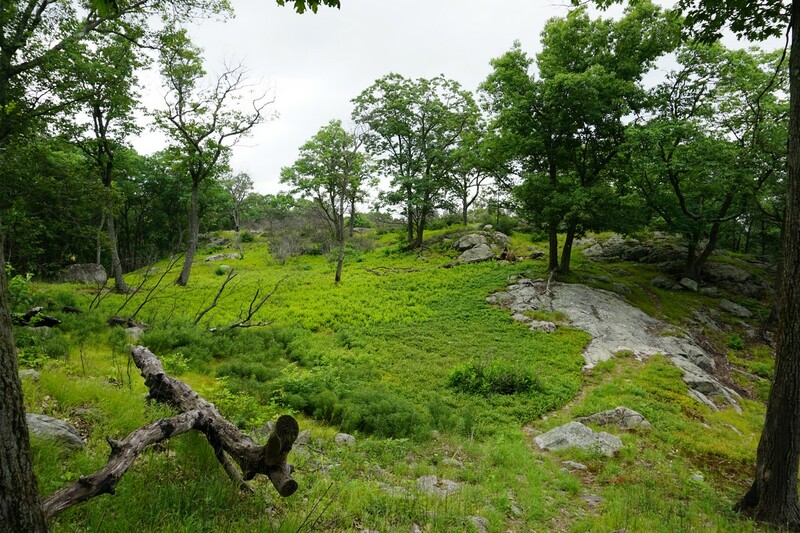 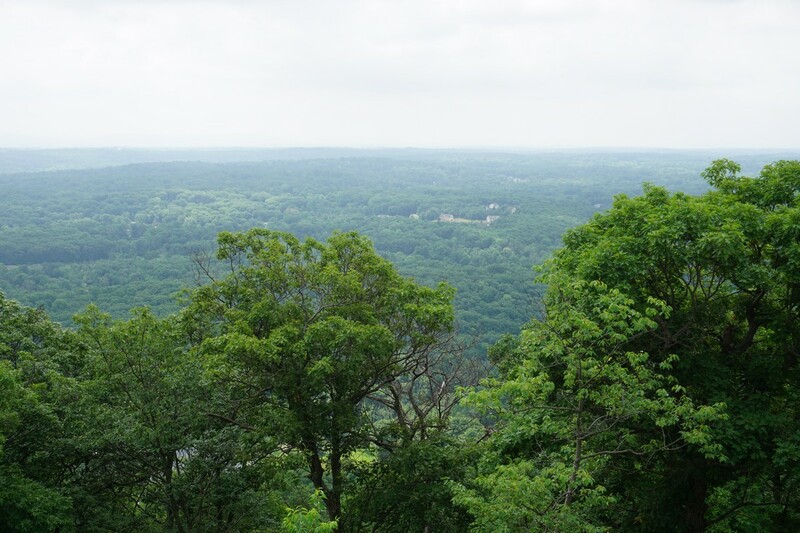 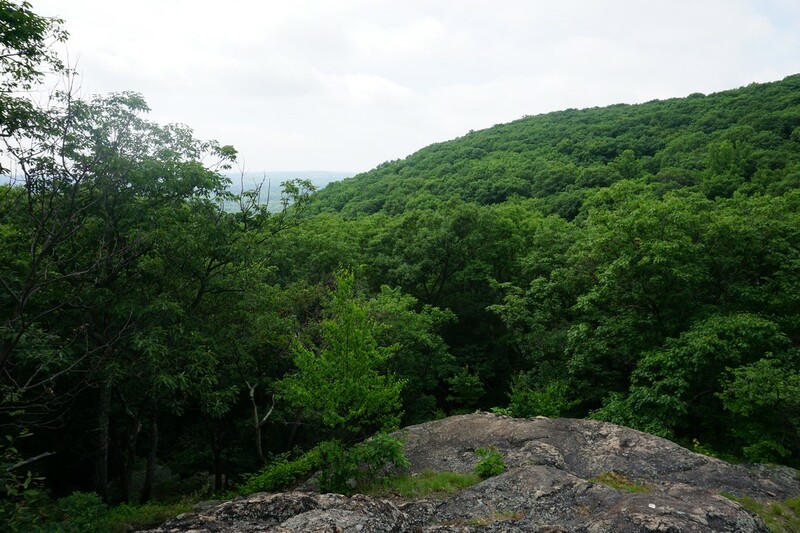 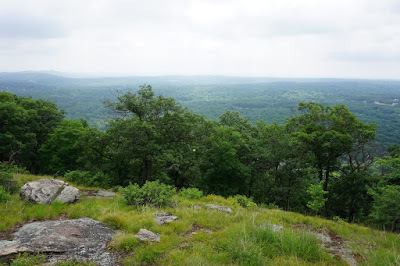 We parked at the Ramapo Equestrian Center, which is the trailhead terminus of the Pine Meadow Trail, and took this trail as it climbs up the Ramapo Mountain Escarpment to the Suffern-Bear Mountain Trail. 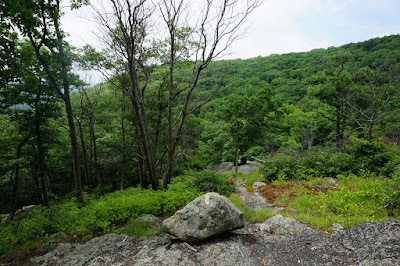 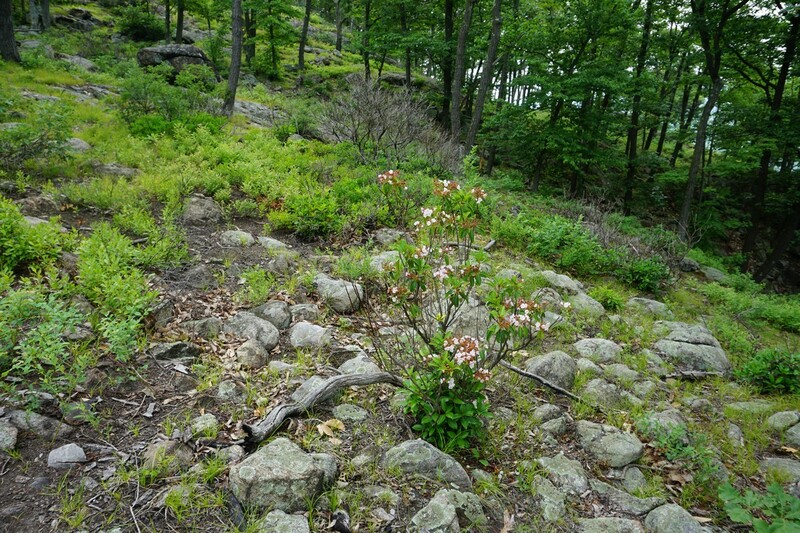 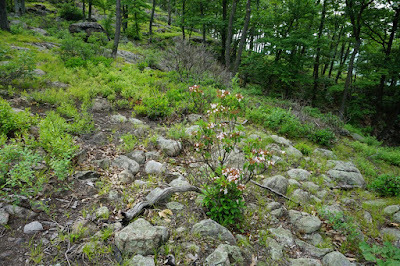 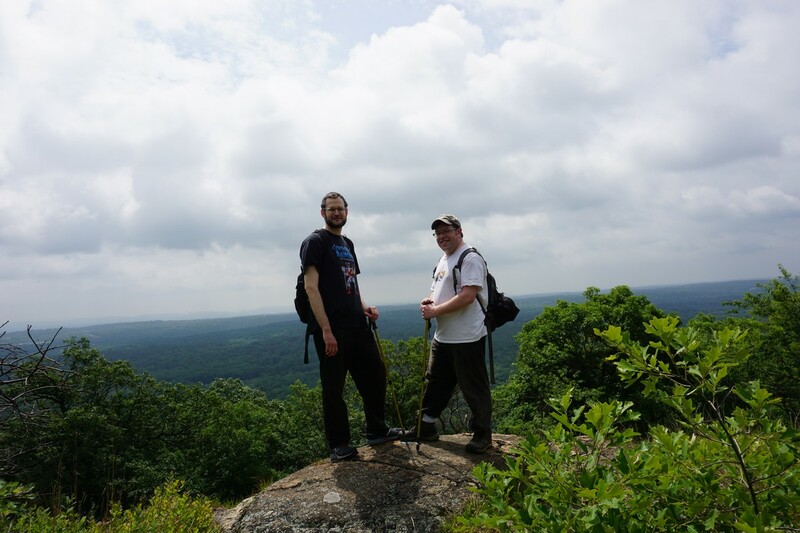 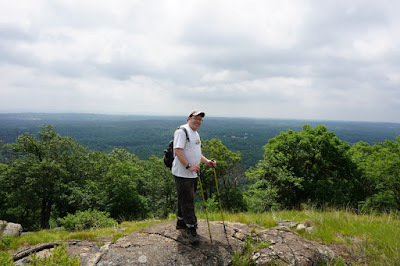 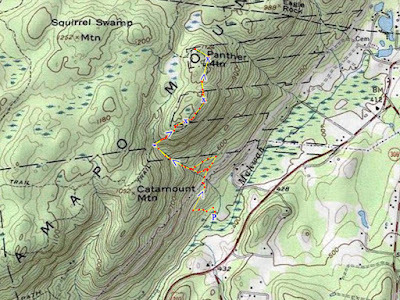 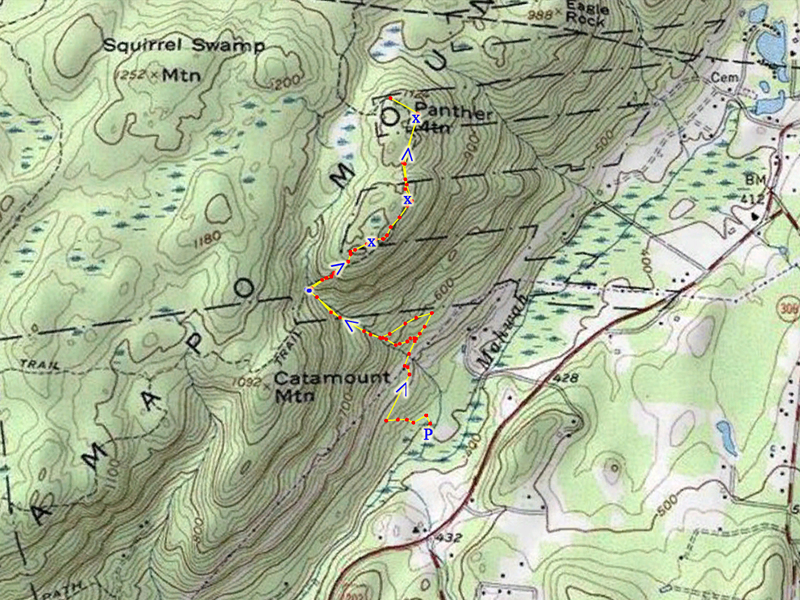 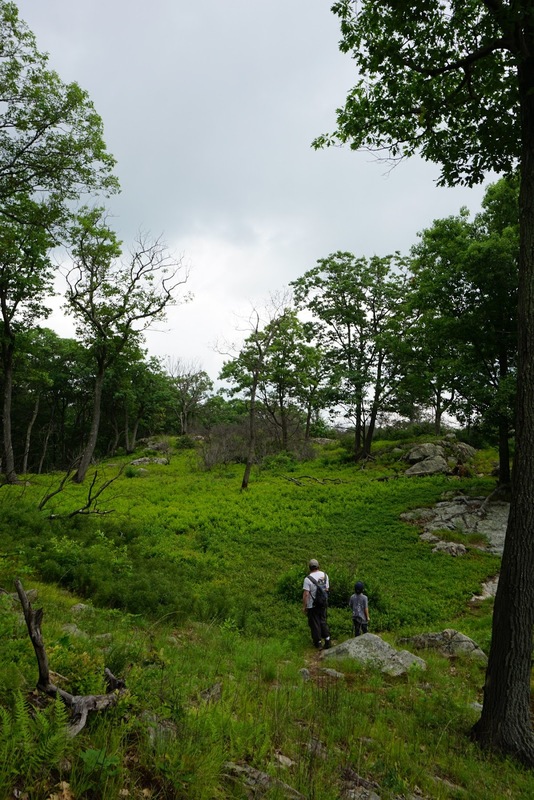 We the continued up along the Suffern-Bear Mountain Trail northbound, through the rocky area and ridge top. 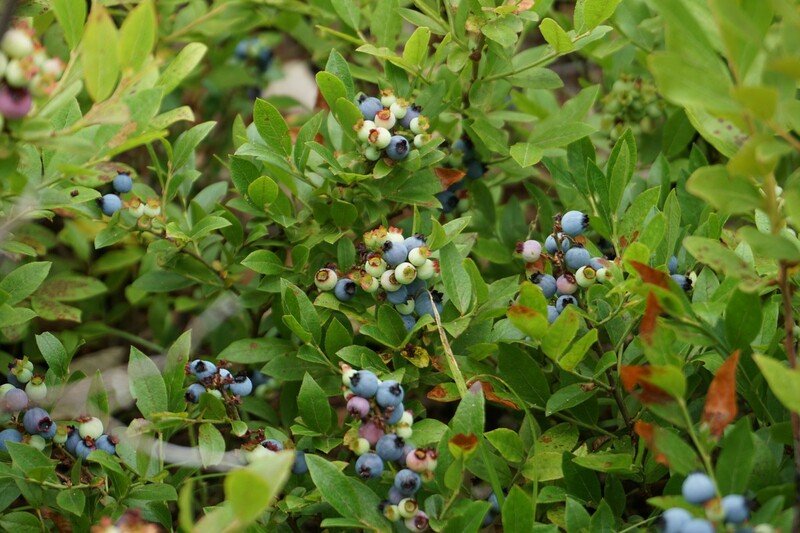 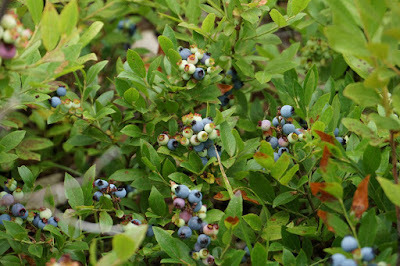 There are several good views here and we were afforded with some delicious blueberries and huckleberries along the trail. At the descent of Panther Mountain where the trail turns and goes down, we turned around and headed back, due to worsening weather conditions and time constraints. 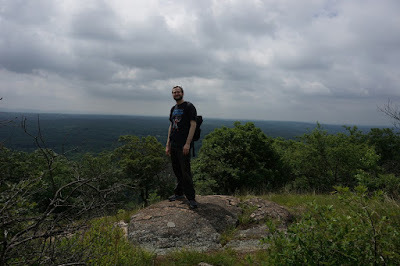 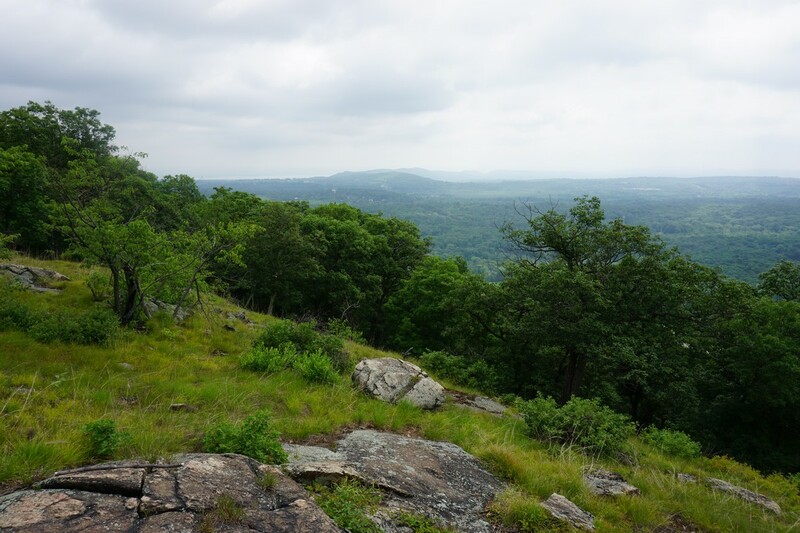 The weather was extremely humid and uncomfortable, and some ominous thunderstorm clouds appeared in the distance, prompting us to finish the hike sooner than anticipated.